In Australia, New Zealand, and Indonesia, a chain called "La Porchetta" offers, I'm told, fairly generic family style Italian meals. 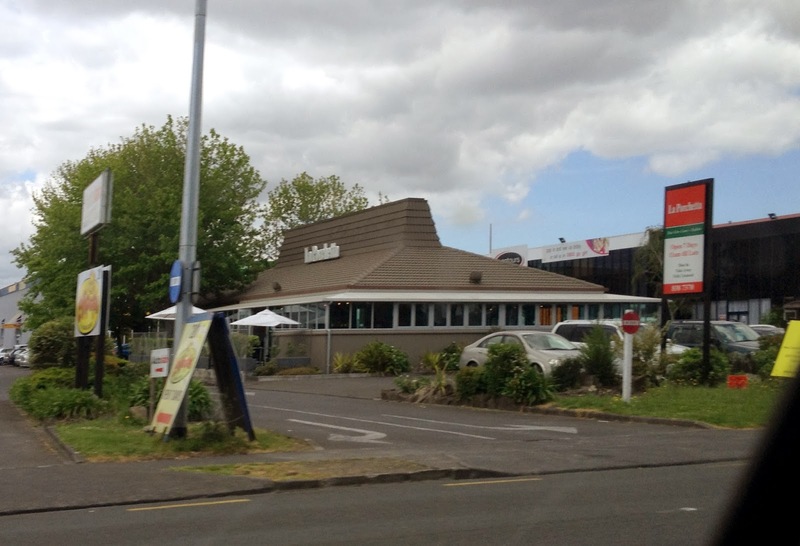 This happy example, in the Henderson suburb of Auckland, is an unabashed UTBAPH. A quick paint job on the roof and some new signage, and voilà, you can almost smell your mediocre meal. Big thanks to our friend from down under, Toby, for this fantastic submission.